Less an exercise in world-building than in world-implying, Partisan, the debut feature by Australian filmmaker Ariel Kleiman, takes place in an unidentified locale (exteriors were shot in Georgia, the country) that looks vaguely post-apocalyptic. The streets are mostly deserted, studded with crumbling, apparently abandoned housing projects, but that could just be the result of a severe economic downturn. 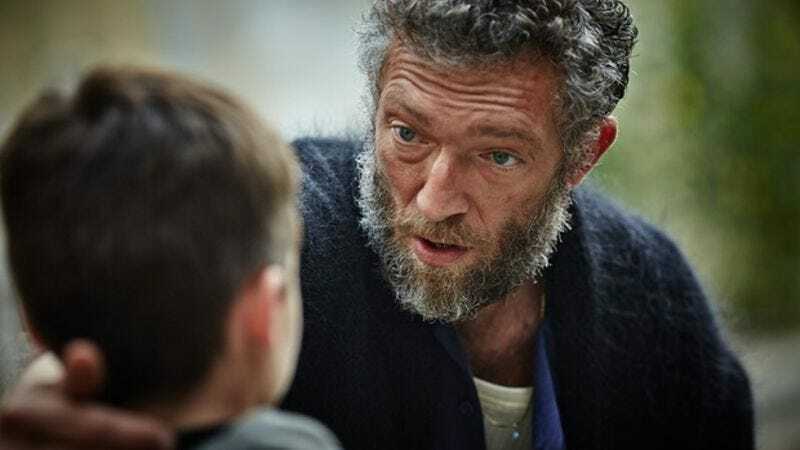 Our guide through this quasi-wasteland is a man named Gregori (Vincent Cassel), who early on visits a hospital and introduces himself to a sad-looking woman (Florence Mezzara) and her newborn infant, Alexander. The movie then jumps forward to Alexander’s 11th birthday, revealing that the boy (Jeremy Chabriel) and his mother now live with Gregori in an isolated commune, along with several other women and a whole bunch of little kids. Gregori is the sole adult male on the property, but it’s unclear how many of the children, if any, are his, or whether the other women function as a harem for him. Indeed, for a long time, it’s not clear what’s going on at all. That sense of mystery definitely keeps Partisan intriguing, though it also creates expectations that Kleiman, who co-wrote the screenplay with Sarah Cyngler, isn’t especially interested in fulfilling. Gregori, despite sporting a thick wild-man beard, makes for a fairly benevolent dictator, or cult leader, or whatever he may be. He shows tender feelings toward the children, especially Alexander, and is never openly abusive in any way. When he serves as their schoolteacher, however, the blackboard behind him features what appear to be diagrams showing how to construct bomb circuitry, and there’s also regular target practice and paintball attacks. Gradually, it becomes clear that the kids are being trained as assassins—though, again, there’s no indication as to why, nor any information about who the victims are. Kleiman keeps the story almost entirely abstract, structuring it as a battle of wills between Gregori and Alexander, with the latter beginning to question, for the first time, the moral infallibility of the only authority figure he’s ever known. Perhaps this material needed to be pushed further into absurdism, in the manner of Yorgos Lanthimos’ Dogtooth (to which Partisan’s born-into-captivity scenario bears a superficial resemblance). Cassel makes Gregori a compellingly ambiguous figure, but the miniature fiefdom over which he rules, while disturbing and occasionally funny (a regular karaoke night pays dividends), doesn’t provide Alexander with a dramatically satisfying means of rebellion. The best Kleiman and Cyngler can come up with is to have a new kid arrive at the compound and try to protect a chicken that’s about to be slaughtered, leading to a confrontation in which Alexander expresses solidarity by refusing to eat the chicken come dinnertime. As real-world coming-of-age parallels go, that’s a bit too mundane. It doesn’t help that every character speaks English in a different heavy European accent, giving the impression of a low-budget co-production angling for the U.S. market. 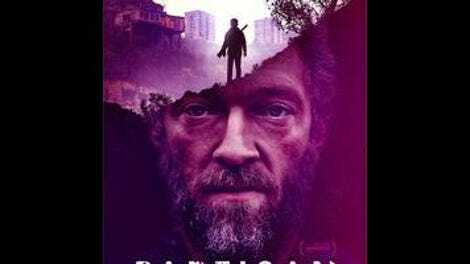 Partisan is too obscure to appeal even to American arthouse crowds. It’s too obscure and uneventful, ultimately, for its own good.